Details of the Recommendation: "Greg was fantastic to work with. He is very professional, has high integrity, has extensive knowledge of the real estate market and has great interpersonal skills. He went above and beyond to make sure I got the results I wanted." 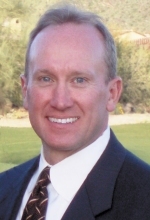 " "I have worked with Greg on four real estate transactions since 2005. Most recently, Greg assisted with the sale of an existing home and the purchase of a new home. Greg is proactive and highly responsive and understands the current market dynamics. He provided me with sound advice and was always available to address any questions and activities needed to advance the sale. I would highly recommend Greg, he is a trusted advisor."